The beach has a mile-long shoreline with sandy coves, rocky cliffs, tide pools, fishing spots and picnic facilities. 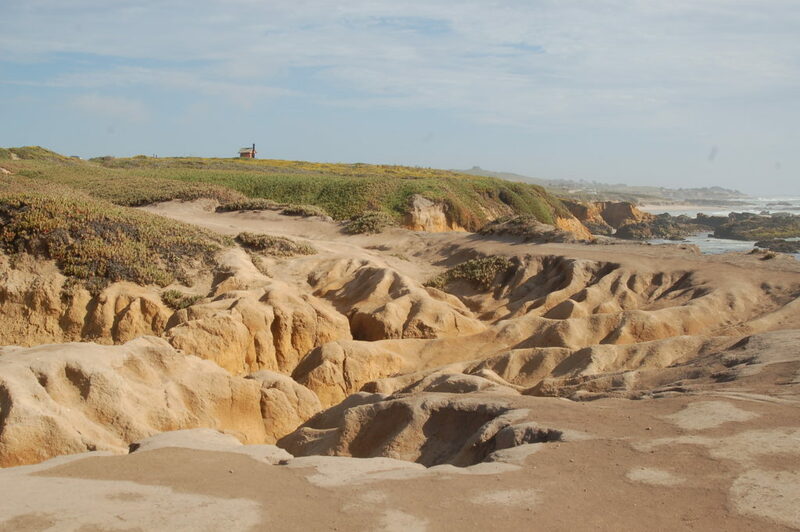 The beach has one of the most extensive dune systems and coastal strand plant communities north of Año Nuevo Point and south of the Golden Gate. 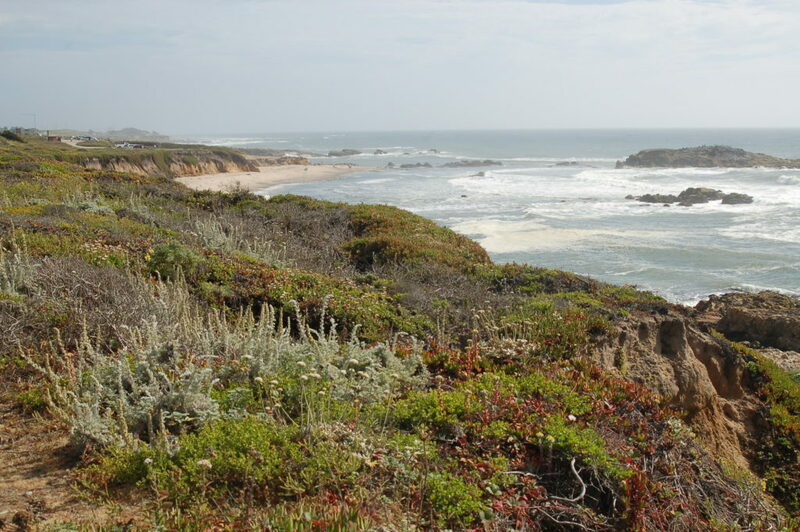 Across the highway is Pescadero Marsh Natural Preserve, a popular spot for bird watchers and other naturalists. The Preserve is a refuge for blue heron, kites, deer, raccoons, foxes and skunks. This state park has two distinct beach areas that are divided by the creek mouth. The south beach is a series of small circular rocky coves with sandy bottoms. 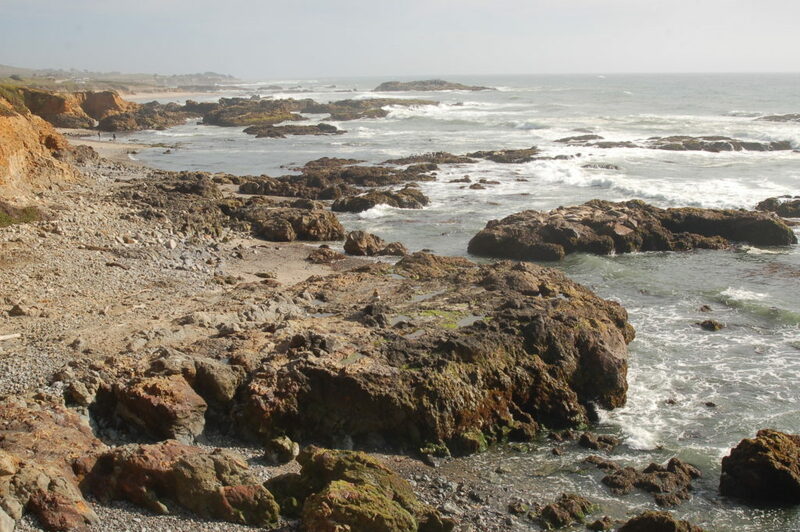 To explore a wider, sandier beach then head to the north side of the bridge at Pescadero State Beach. 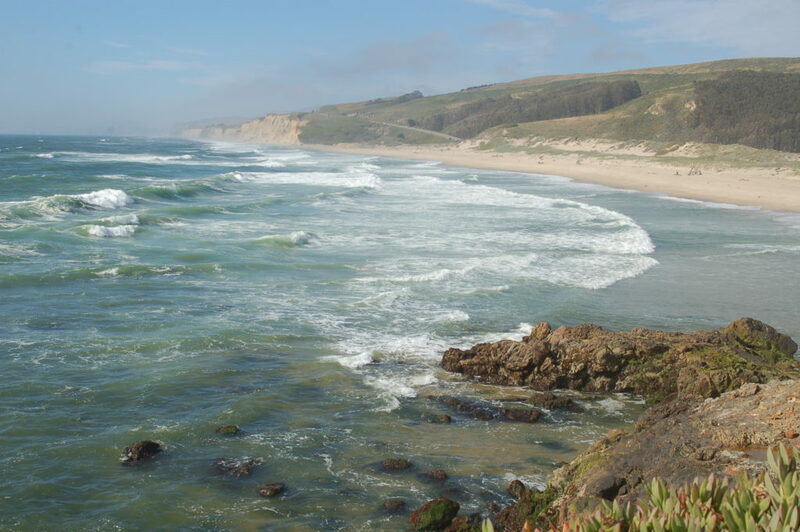 The beach is located 14.5 miles south of Half Moon Bay on Highway 1. It is across Highway 1 from Pescadero Creek Road. By Bus: Take samTrans line 17 from Half Moon Bay. Exit Pescadero Creek Rd & Highway 1, walk .4 miles west on Pescadero Creek Road towards Highway 1. Turn right onto the highway, then turn left for Pescadero State Beach. 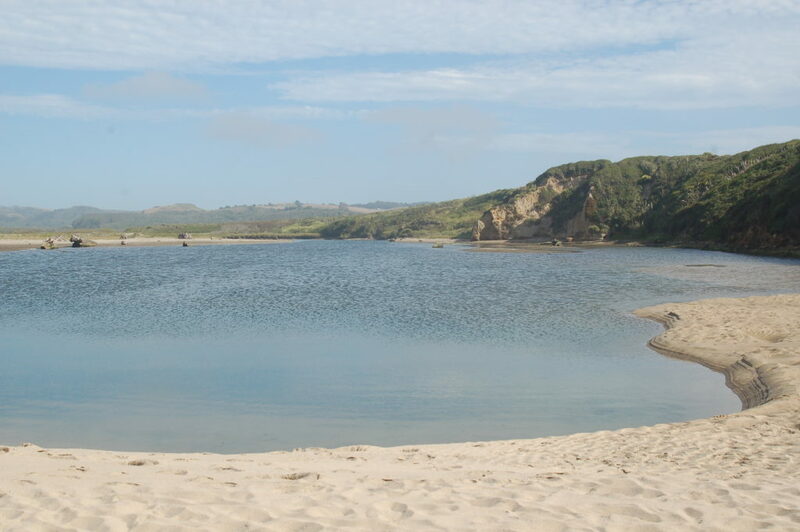 The 500-acre Pescadero Marsh Natural Preserve hosts resident bird species and protects a vital stopping point for migratory species along the Pacific Flyway. Docents lead nature walks in the marsh twice a month: 10 a.m. on the first Sunday of the month and 1 p.m. on the third Sunday of the month. The walks last about two hours. Parking is $8 and supports the park. Annual State Parks passes also are available to purchase at the kiosk. Lead nature walks in the only extensive wetland along the coast of the San Francisco Peninsula, which is an important link in the Pacific flyway. Contact Ranger Nelle Lyons at (650) 726-8804, voice mailbox 7# or email to get involved. Dogs are prohibited on the beach and in the Natural Preserve at all times. No beach fires are allowed and fireworks are prohibited. Please refrain from removing shells, driftwood and other natural beach features.